Clear vision is vital for quality of life. People at all ages should consult with an eye doctor on a regular basis. We have an extensive network of hospitals and clinics providing ophthalmology services with high success rates. 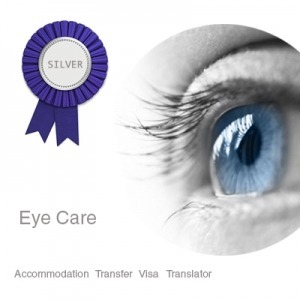 We are here to offer FREE online support for all your questions before your medical travel for your eye care problems such as Lasik surgery or cataract surgery. 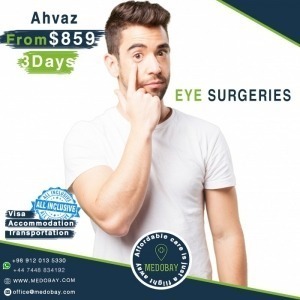 If you are searching for the best place to perform Eye Surgery, you have come to the right place. 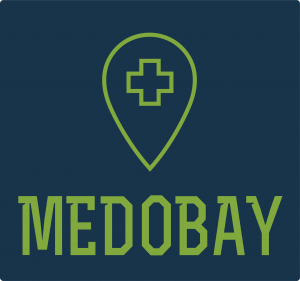 MEDOBAY will help you save thousands of dollars by giving you the best offer for your surgery in Iran. Not all countries and hospitals are of the same quality or standards. We can help you have a better experience by guiding you to the best hospital for your procedure. Get a Free Consultation With an Eyecare Centre? 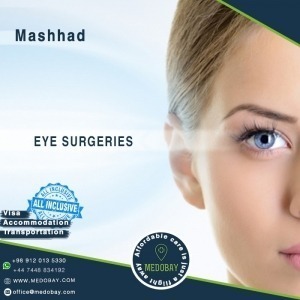 Why MEDOBAY suggests you perform eye surgeries in Iran? 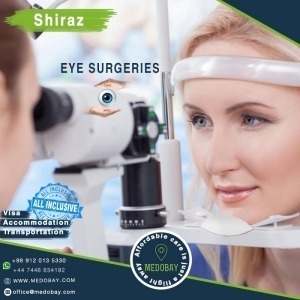 Ophthalmologists in Iran are highly skilled and well-educated surgeons who can be compared to all around the world and currently Iran is the best country in the Middle East in fields related to ophthalmology. Not only there are so many great surgeons and advanced devices also it is reasonable to undergo surgeries in costs which are truly competitive with neighbouring countries as well as all over the world. For instance, In 2018 the LASIK surgery costs about $2100 per eyes in the US while the same procedure costs much lower in Iran. It’s a procedure for people who want better vision without having to wear contact lenses or glasses. As the most common type of refractive surgery, the LASIK surgery can correct nearsightedness, farsightedness or astigmatism. LASIK is an outpatient procedure, meaning it doesn’t require a hospital stay. It takes about 30 minutes to do both eyes. You’ll see improvement in your vision within a day after surgery, and maybe right away. You may experience a day or two of eye discomfort. It’s another type of refractive surgery. PRK also corrects nearsightedness, farsightedness and astigmatism so you won’t need contact lenses or glasses. 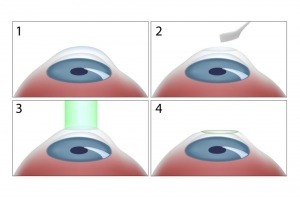 Your doctor will use a laser to remove cells on the surface of the cornea. 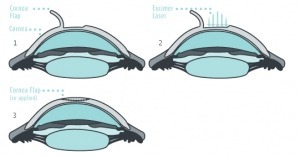 In contrast to LASIK, PRK does not involve creating a “flap” in the cornea before reshaping the surface. Some ophthalmologists prefer PRK to LASIK, and the corneas of certain patients are better suited for PRK than LASIK. You’ll probably have this procedure in your doctor’s office. It takes about 10 minutes to do the procedure on both eyes. Because your doctor works directly on the surface of the cornea, your eyes may hurt some after the surgery. You might not be able to drive for a few weeks. Most people’s vision improves by 80% in four weeks and by 95% after 12 weeks. 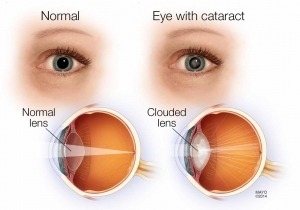 Cataracts develop over the lens of your eye, making it cloudy. As a result, your vision becomes blurry and dull. Cataracts are common as people age. Surgery can correct the problem, usually in less than an hour. Your eye surgeon replaces your cloudy lens with an artificial one. This operation is also an outpatient procedure. 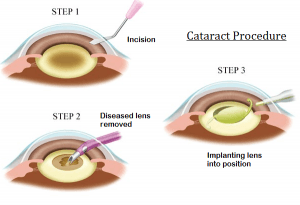 After the cataract surgery, you may experience blurry vision at first but your vision will improve in a couple of days. Your eyes may feel uncomfortable and itchy while they heal. condition usually is the results of damages to the optic nerve in the eye which could be caused by a buildup of pressure in the eye. 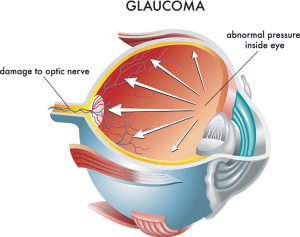 Glaucoma can cause blindness. Two types of surgery can treat glaucoma. Both aim to reduce pressure in your eye. 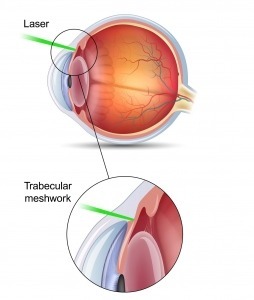 Laser surgery for glaucoma is an outpatient procedure so you can go home once it’s done. You might feel some discomfort or notice blurry vision afterwards. But, you can go back to your regular activities the next day. 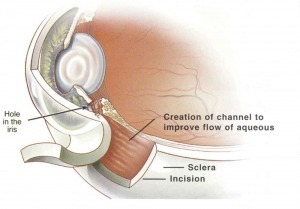 The conventional glaucoma surgery. You might need this if the laser procedure is not effective. This is also an outpatient procedure. But, your eyes may water or look red afterwards. And, it will be about a week before you can return to your regular activities. 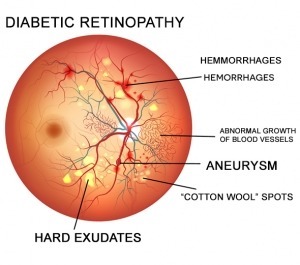 Diabetic retinopathy can develop if you have diabetes and your blood sugar is not under control. One of the causes of blood vessels deterioration and damages is the high level of blood sugar, this includes the vessels in your eyes. This causes the blood vessels to leak fluid and blood into the retina. Your vision can change. You may see “floaters,” which are spots that seem to float through your vision. One procedure for this is done in your doctor’s office. The eye surgeon may use a laser to reduce swelling in your eye and encourage new blood vessel growth. The surgery also helps prevent future blood vessel leaks. However, you may still have blurry vision and need more laser surgery in the future. Vitrectomy is another type of surgery for diabetic retinopathy. It aims to get rid of leaked blood and scar tissue in your eye. It also helps prevent blood vessels from leaking again. Your doctor will probably do this procedure in a hospital. You may need to stay in the hospital for a short while after the surgery. The macula is the area of your eye that helps you see greater detail. As you age, the macula tends to break down. That’s called age-related macular degeneration (ARMD). The more severe type is wet ARMD. Leaky blood vessels cause you to see dark spots in the centre of your vision. 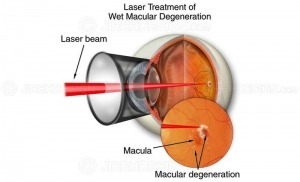 Sometimes, laser surgery can help with wet ARMD. Your eye doctor uses a laser to burn away unwanted blood vessels. This prevents bleeding. It also stops the growth of more blood vessels. This is an outpatient procedure. Vision is usually blurrier right afterwards. You should have improved vision in a few weeks. However, people often need more laser treatments within a few years.